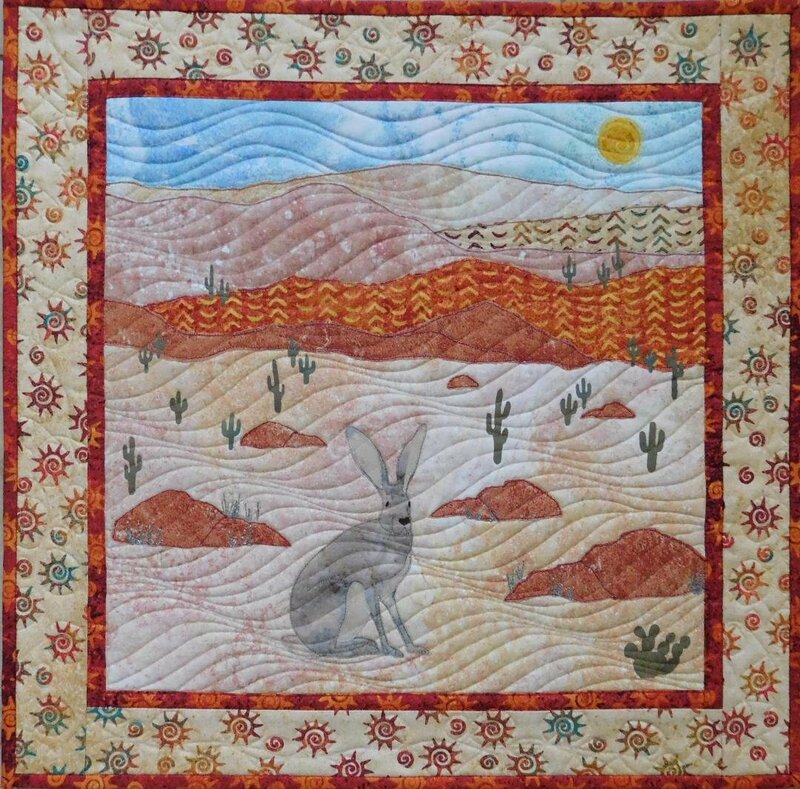 Desert landscape with cacti and "Jack" the jackrabbit. Simple raw edge, fused and applique. Instructions will be given for the interesting "wavy" quilting. All those tiny cacti are fused and then caught in the quilting -- NOT edge stitched.